When you’re in a rush and have several things on your mind it’s not uncommon to leave your keys inside your home. Getting locked out of the house is something most of us have experienced at least once in our lives. So, if you are yet to face such a situation, it’s high time you should learn how to get rid of the problem. 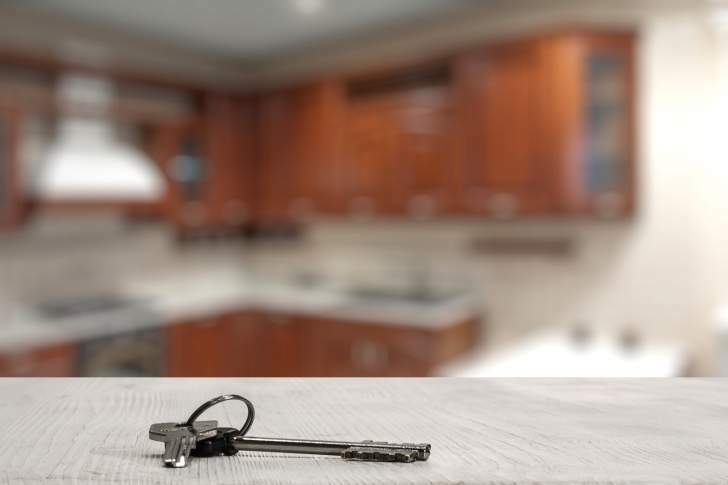 Of course, calling a locksmith is the easiest solution one can opt for; but the bad news is that often it becomes difficult to get a locksmith who can arrive at your place quickly and open the lock for you. Discover easy and effective ways to successfully get back into your house without having to call a locksmith. Find out whether any of your friends or family members can assist you in getting into your house. If you have given a close friend or family member a spare key to your home, they might be able to come and quickly help you get back into your home. For individuals living in rented houses, there’s always the option of seeking help from the landlord. Landlords usually have their own copy of house keys. So, it would be a good idea to get in touch with your landlord to check whether he is at a nearby place (close enough for swinging by and helping you getting into the house). Most people don’t leave their windows unlocked when leaving the house. However, there’s still an off chance that you have forgotten to lock a window before leaving. If you can open the window, use it as your home’s entry point. To get into your house through a window, you will just need to remove the window screen, lift the window up, and sneak in. You should be extremely careful when getting into the house through a window; you should particularly be careful about wires and furniture surrounding the window. The feeling of entering your own place through a window might be slightly weird, but it’s surely much better than standing outside for hours. Begin by inserting the card between the door and the frame; you should push the card up to the latch. Holding the card at a 90 - degree angle with the door start pushing and wriggling it. As you do so, you must bend the card in a way so that it moves slightly away from the door knob. Your aim should be sliding the latch back and forth. While bending the card, you must keep pushing your bodyweight against that of the door. Completing the above steps correctly will soon open your door. However, if you unlock the door successfully, don’t forget to call a reputable locksmith and have the lock changed. Since it has now been proved that breaking into your house is an absolute cakewalk. If the deadbolt of the door hasn’t been used, you will be able to enter your place by taking the doorknob off. Usually, doorknobs have their mounting or connection screws concealed. However, checking the doorknob closely would help you to spot a small pin-sized slot or hole (typically located underneath the doorknob or by its side). Through that slot or hole, insert a straightened hair pin or paper clip. There would be a strong resistance from the other side, but still you should keep pushing the pin/clip and try reaching as far as you can. Don’t forget to twist and pull the doorknob constantly when pushing the pin/clip. Keep the action on until the doorknob is removed. Next, remove the decorative cover and reveal the door’s lockset. Finally, use the pin/clip for pulling back your door’s locking mechanism and that should be enough for unlocking the door.